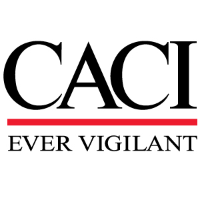 CACI is hiring a Database Administrator in support of the Department of State. You will be part of a team that supports enterprise software applications, infrastructure, data architecture, cloud services and business intelligence to the enterprise. You will also provide administration of the application databases within the development, test, and production environments. Your responsibilities will include providing full database administration, including backups, deployment of new database changes, securing the database systems, performance tuning, researching and developing new database technologies and solutions, as well as developing database policies and procedures. • Install, configure, and upgrade MS SQL and Oracle. • Ensures that storage, archiving, backup and recovery procedures are functioning correctly. • Performing deployments of code or data loads to development, test, and production. • Performs database hardening including database encryption. • Maintenance of database dictionaries, overall monitoring of standards and procedures, file design and storage, and integration of systems through database design. • Controls access permissions and privileges. • Experience in documenting, establishing, and performing database backup and recovery, monitoring, and tuning. • Specific experience in performing database security - authentication, auditing, and encryption for MS SQL server. • Advanced troubleshooting and problem solving skills; evidence of skills analyzing information technology issues, evaluating alternatives, and making logical recommendations based on findings; ability to define problems, collect data, establish facts, and draw valid conclusion.